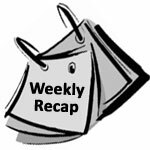 I'm proud of this week's wrap up. We spoofed a song, used the term "staying classy" without making a single Anchorman reference (why did I decide that was a good thing?) and I only had one bad ADD moment. Need something to keep your attention? How about a top secret sounding laptop from Google? Everyone got in on the fun this week. Our Sales Manager, Support Manager and Deliverability Manager got in on the action and learned us all on some email marketing business. Speaking of support...give your customers great support and they will become evangelists for your brand. A look at some high risk industries that are the instigators of most of the world's spam. Find out, Who Can Fatten Your Inbox? This reputable photography company won me over with each and every point in their communications. With great permission requests, sign up forms and welcome emails, it's easy to see how B&H Photo Keeps Its Subscribers Happy by Staying Classy. Do you know about the new laptop from Google? I bet you've heard about it. It just sounds so cool, with a top secret name like CR-48. See how all of it ties into email marketing when Google Sets an Example for Effective Email Marketing. Our Sales Manager, Daniel, answers all the questions you should be asking about email marketing. Starting with, Why Choose Email Marketing? The Benchmark Email Editor covers almost all of your HTML needs. But for those of you out there who like to get inside the machine and see what makes it tick, we're going to mess with our font attributes. Get ready for HTML Tips & Tricks #2 - Basic Font Attributes. It may seem like great customer service is going extinct, but it's not too late. Save it before it goes the way of the Dodo Bird. Give your customers great customer service by treating them like family and you will discover the benefits of Turning Your Customers into Evangelists. All the helpful hints, tips and tricks in the world are all well and good, but sometimes it takes seeing the finished product to put it all together. Take a look at this week's Email Newsletter Awards for Most Interesting Content. Here's my problem: the third word of this blog is "glitch." Perhaps it's just my generation, but I can't see that word and not think of the Matrix. Then I went on an ADD mental tangent about that. Read this blog. It's got a cool headline and our support team is excellent. Pay attention to all of the Support Update: The Copy & Paste Junkyard Disgrace. Lots of great info this week! Thanks for reading, and we'll do it all over again next week. Deal?